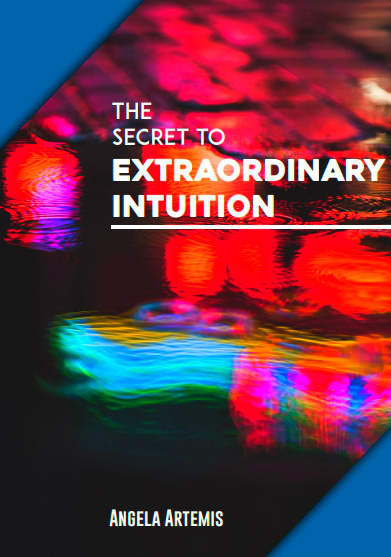 Looking for a secret key to unlock your intuition? The key to unlocking your intuition is to master being present in your life and body at all times. When you are fully present you are aware of your thoughts, your emotions and what your body is experiencing. Think about it. Is this not so? When you are fully present you focus on completing one task at a time. You put your attention on this one thing and pay attention to every moment of it. Whereas when you’re stressed and multitasking you pay little or no attention to what you’re actually doing. You’re so preoccupied with your thoughts and all the emotions they bring up that you end up doing whatever it is you are doing on autopilot, right? When your mind is preoccupied by your thoughts and flying off on emotional tangents you will not only miss hearing your intuition you will also miss the intuitive cues given off by your body. A lot of people don’t realize that much of how our intuition communicates with us is through our feelings. Our intuition sends information to us by making us aware of a brief feeling.It’s usually a “forewarning” of something that will occur because of our actions. Say, you are going to work and you hear your phone make the sound that you received a text. You want to see if it’s your boss. You reach for your phone and as you go to look down to read the text you become aware of the “slightest” little “nudge” of a feeling telling you that you shouldn’t look away from the road. But, you do it anyway and even though it only took 10 seconds you end up in a car accident. After the accident you “remember” that you got this little “feeling” and wish you’d listened to it. Why did this happen you wonder? Yesterday, and the day before you read a text while in the car and you didn’t have an accident but, you didn’t get that “slight nudge of a feeling” either. That “feeling” was there telling you that your luck with driving and texting was going to run out today. It was trying to tell you not to do it so that you would avoid the accident. (By the way, I don’t advocate driving and texting. I want to make it clear that this is just an example). Here’s another example. Have you ever experienced that horrible sinking feeling in the pit of your stomach just after you’ve made a decision to go ahead with something? That feeling was communicating to you that you’d made a mistake. Later on after your decision proved to be a fiasco you recall getting the feeling in your gut just as you decided to proceed. You shake your head and wish you’d payed attention. Most people ignore these signals from their intuition and it does come back to haunt them. These feelings don’t crop up all the time which is exactly why you should pay attention to them. You will only get them when you need to warned about something. If you’ve made a habit of constant busyness and pushing your feelings away, over time it will result in squelching your intuition. Once we have instilled the habit of not being present we operate on a “new normal.” In this “new normal,” feeling uncomfortable feelings IS normal. In other words, we’ve suppressed our intuitive feelings for so long that we are used to not being in sync with our feelings. We believe it is the way we are. When we get a nudge and feel uncomfortable we pay no attention to it. We’ve become accustomed to being out of sorts and living with feelings that are incompatible with our actions. Feeling these slight nagging feelings in the back of your mind or in your gut will no longer set off the warning bells like they were intended to do. Therefore when you go to make decisions you’ll always second guess yourself afterward and never feel sure that you’ve made the right decision. What is intelligence? Intelligence is being able to learn or understand something and it’s also knowledge and information. What your intuition does is “inform” you ahead of time about things that can be avoided by heeding this information. It’s primary function is to keep you safe. It’s an instinct that is born within us so that our species survives. Everyone is intuitive. It has to be that way since the primary function of intuition is to ensure your safety. We have evolved since the times when we relied on our intuition to keep us safe from predators like tigers and dinosaurs. The good thing about that is that our intuition has also evolved. We can train our intuition to give us more information about what’s going on in our environment and it will provide the “intelligence” we need to make the right decisions and choices. 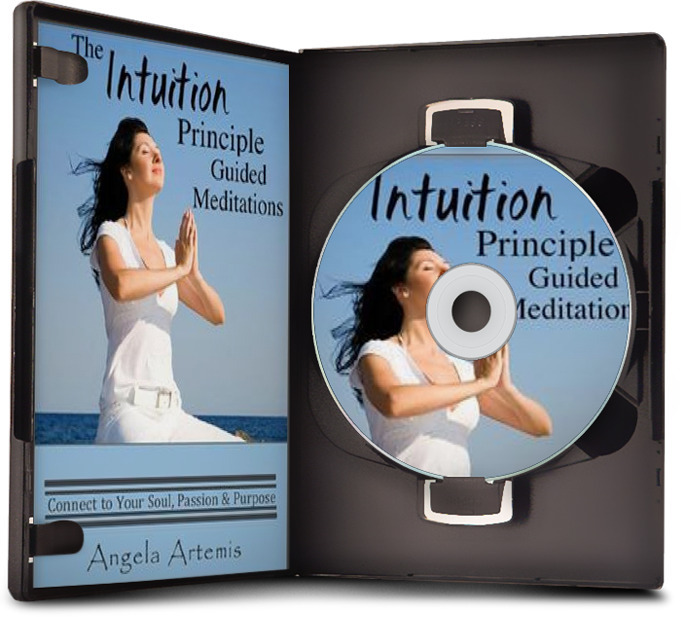 Are you ready to get hold of the key that will unlock your intuition? 1. Learn to be mindful. Be present. Pay attention to the task you’re doing. Try not to multitask. Every time you catch your mind straying off on some tangent have a signal like, snapping your fingers, to bring you back to the present. Do one thing at a time and do it well! 2. Begin to focus more on your feelings. Make an effort to zero in on your feelings when you’re making decisions. Your feelings will tell you whether to proceed or not. If you don’t feel any discomfort when making a decision that’s a sign that your feelings are in alignment with your actions. It is the green light to go ahead. 2. Become aware of your body. When you’re truly present you are grounded in your body. Did you ever notice how when you’re stressed you have no body awareness at all? That’s because you’re living inside your mind. You’ve vacated your body. When you become calm by being present with your thoughts and emotions you also “come down” from your head and reenter the body. When you fully occupy your body you become aware of “sensations” such as feelings in the gut, feeling of weakness, or muscle fatigue and aches in the head or back. The bodies’ sensations are communicating intelligence to you about your surroundings. Think of these sensations like a “Morris Code” sending you a message. When you start being fully present physically, emotionally and intellectually you will have in your hands the key that unlocks your intuition. What questions, if any, do you have about this process? Have you had any experiences with your intuition you’d like to share? Get free updates and a free gift from me too! P.S. 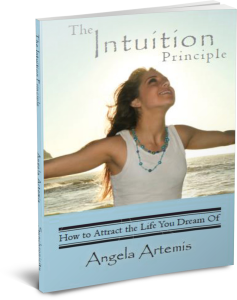 To learn more about hearing your intuition check out my books on Amazon. At Barnes & Noble both online or at one of their stores. Very good post Angela. I believe the biggest gift one can give themselves is to devlop more mindfulness of what is really going on inside them, and free themselves from the habitual mind patterns that to so many many people is the norm. It’s a pleasure to meet you. Welcome! I agree. Mindfulness is a huge gift. It’s the gift of awareness of the truth. We are so much more than our body or our mind. We are not our thoughts either. I think when we realize this we take a huge leap forward in our spiritual development. I found myself nodding yes, yes throughout your article. Yes the key to intuition is to be mindfully present, and focus on one task at a time–although we are so conditioned to multi-task to “increase productivity” that very busyness often allows us to miss the clear signs that are placed within our lives to guide us to “most effective” or significant. And yes, when I ignore my intuition I am ignoring my internal wisdom as well as the interconnectedness of universe and am allowing my steps to be redirected.. I find that when I am rushed and experiencing stress, decision making and clarity become much more blurred. I totally agree that be remaining present and mindful we can find a solution to whatever it is that is pressing us. We forget to have patience and pay attention to our our bodyily reaction. There is certainly a balance to find between reason and intuition. Yes, being present is the key. When I am stressed I too don’t hear my intuition. Of course, there’s a balance between reason and intuition however; intuition is not dependent upon reason because Intuition is not arrived at with reason. It is the knowledge of the answer which arrives fully conceived of in the mind without using reason. Only after receiving this knowledge would you apply reason. And, just to clarify, you would not use reason to alter the answer you received. You would use reason to see if it is worthwhile for you to apply the answer you received. I have to be very honest, intuition, when pure and not confused with our rational thoughts is never wrong. It is the rational mind and our ego that is often wrong and those thoughts are we “confuse” as our intuition. I want to tell you how much I value you and appreciate your support my friend. May 2012 be the best year ever for you. Yeah I remember those nudges I get just before something unpleasant happens. I also remember those horrible sinking feelings I get when I make a mistake. This is usually having buyer’s remorse after making an expensive purchase. And you’re absolutely right. These feelings do not happen all the time, but only when something unpleasant is about to occur. When I was younger, I did not pay them much heed. As a result, I had to suffer unpleasant experiences. Today, I err on the side of caution whenever I sense something is wrong. Your key to unlocking our intuition cuts right to the heart of the matter. Only when we are physically, emotionally and intellectually present will we be able to unlock our intuition. “Intuition is really just a sudden immersion of the soul into the universal current of life.” -Paulo Coelho // Take your soul for a swim. thank you for adding that lovely quote from Paulo Coelho. No question that stress affects our intuition. 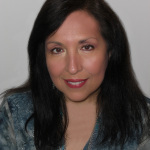 Your three ways to access your intuition are very helpful for many things in life. I love this post on intuition. As usually you have been splendid at explaining what we can do to unleash our intuition. Recently, I have began meditating. I have also been reading Eckhart Tolle’s The Power of Now. All this has led me to the importance of being present as much as I can. When I brush my teeth now, I hear the sound of running water. I see and admire the face in the mirror, telling how wonderful and great he is. I feel the warmth of the water on my skin. As much as I can, I am trying to really live in the moment. I understand what Tolle was trying to explain that all pain comes from the manipulation of the mind to relive the past and anticipate the future. When we let our mind do that we become worried or anxious. I guess that suppresses our intuitive abilities. I cannot explain, but many things had happened since I began this stillness journey. My life is truly looking up, and knowing that this formula brings get stuff, I will keep remaining in present moments of time. Just one question. Since feelings are the gateway to our intuition, does it mean that people who are rigid and stern and insensitive will be less intuitive? Great comment. Eckhart Tolle is a modern mystic. I have read all his books too. Only when we are fully present are we fully alive. Yes, you’re right. A person who is very rigid and afraid to relinquish control will not hear their intuition as readily as some who surrenders and lives mindfully. Happy Holidays to you Jimmy! I guess I’d add that it is probably best not to analyze it either simply to heed it. If you analyze, generally you won’t find a reason that is clearly indicative of “Why”. Great advice. You always point out what I forgot to add to my posts. Joe Bill. Thank you. Logic has no bearing on intuition.